Mother's Day gift!!! 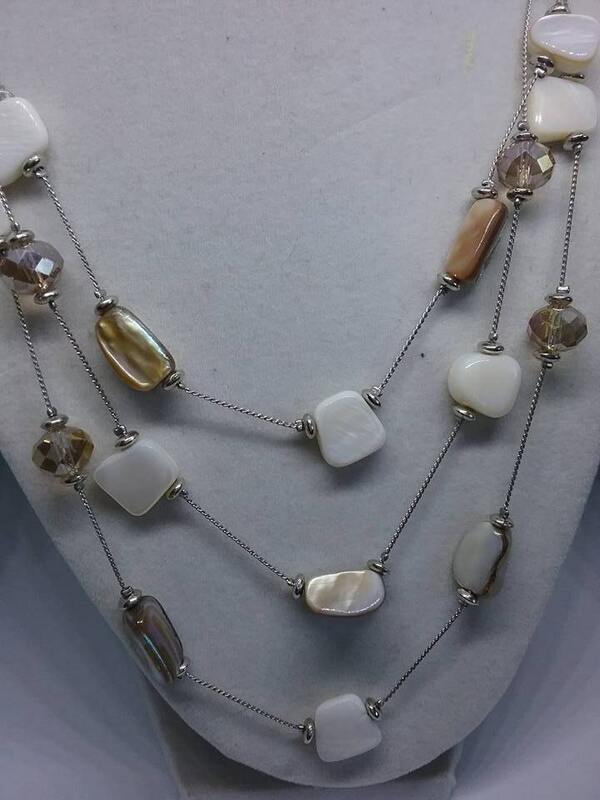 Silver tone three strand necklace with beautiful mixture of white. 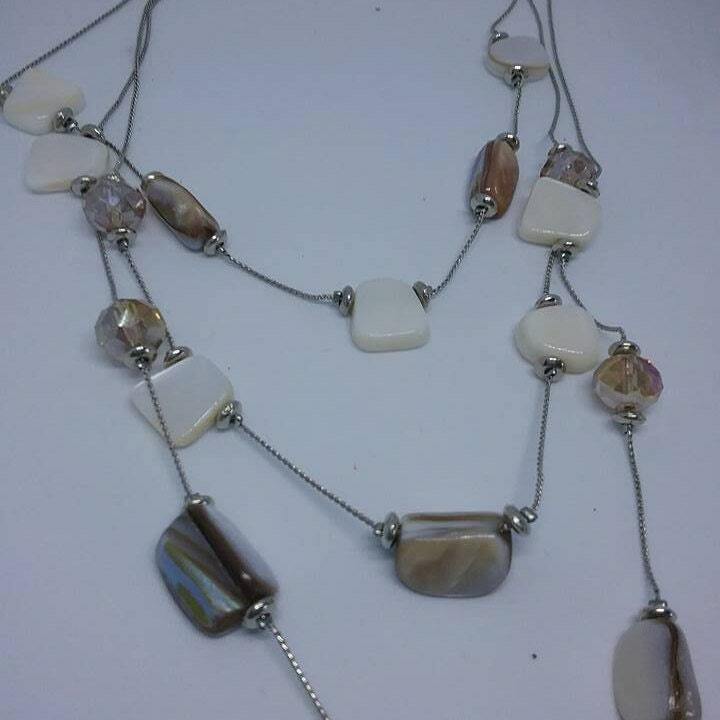 beige and iridescent beads. 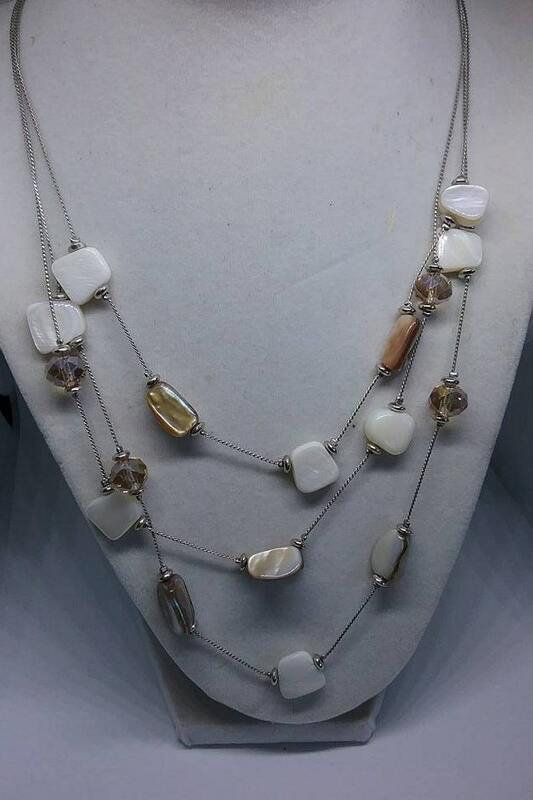 A stunning piece that is dainty enough to add beauty, but beautiful enough to add statement. 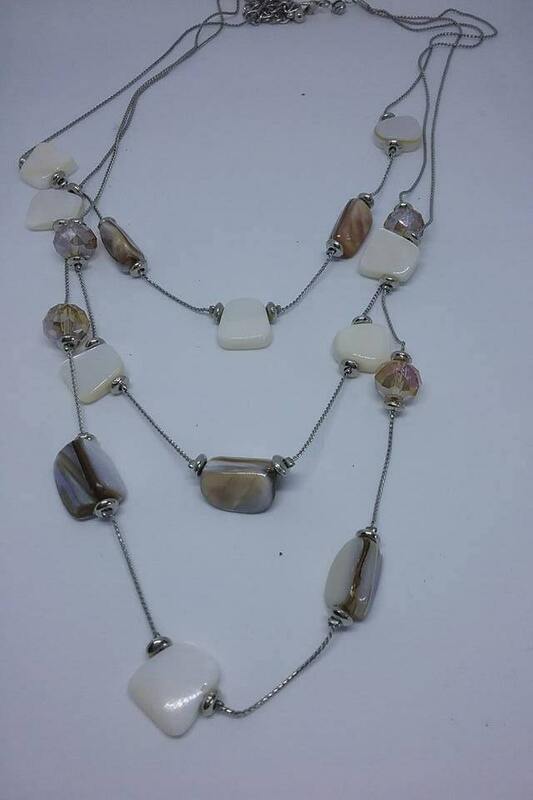 Clasp has an end to add some length, but over all, it is 20" to the lowest strand.